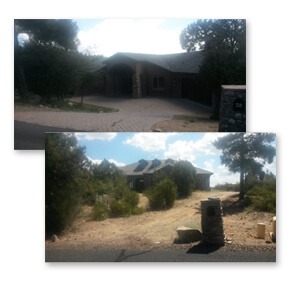 A contractor went bankrupt halfway through construction on this spec home in Prescott which created an opportunity for another real estate investor. Beautiful views in a luxurious neighborhood made it a no brainer for an investor that could accumulate funds and finish this build. Capital Fund was able to finance the construction costs needed to finish the project on a two year loan in just 24 hours. Great location, beautiful views, wonderful northern weather, this home will sell quickly when it is completed.